The Top Rank CEO has confirmed on USA Today Sports that the Filipino icon is staging his farewell match before April 9 so that he can still focus on his senatorial run in the Philippines. The 83-year-old promoter told Boxing Scene that since it will be Pacquiao’s final fight, it should be staged in Las Vegas as it will likely draw much crowd. “The ticket demand for a fight like that, the financial investment… it would have to happen in Las Vegas,” Arum said. If Arum is asked who should be the man standing in the opposite corner for the Philippines’ pride’s last bout, he thinks Crawford is deserving of that chance. 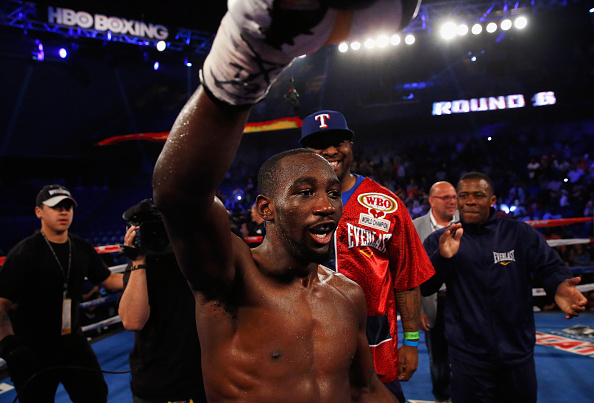 In a separate article from Boxing Scene, the veteran promoter commended Crawford, who successfully defended his super lightweight title against Dierry Jean at the CenturyLink Center in Omaha via a 10th round knockout. It was very obvious from Arum’s statements that he is excited for the two fighters, whom he both promote, to be the ones clashing on the ring for a match that is sure to have its place in boxing’s history. “It was just perfect. He showed a lot of skill, a lot of smarts and a lot of patience. It showed that a fight with Pacquiao would be a hellacious type of fight,” Arum said. “Manny said he wants to fight the best guy out there. We all saw (Saturday night) who’s that guy,” Arum added. If all goes well, the 28-year-old fighter will collide with the 36-year-old seasoned warrior at 140 pounds, Arum shared. This means that it could be a title fight, with the eight-world division champion going after the World Boxing Organization super lightweight crown before he retires, the Hall of Famer promoter suggested.